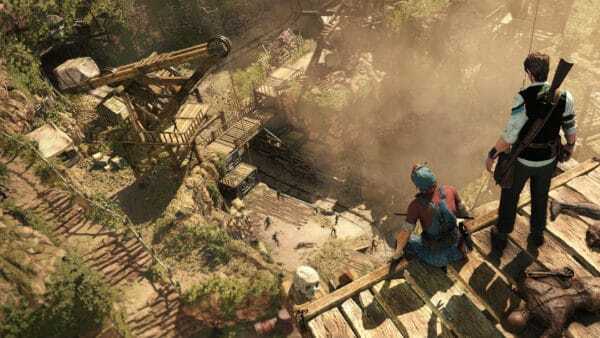 Adventure and treasure are near, and it is up to the Strange Brigade to achieve the job! A game mixed with Indiana Jones comedy and Left 4 Dead gameplay, Strange Brigade is a must-have for players seeking glory and thrill. 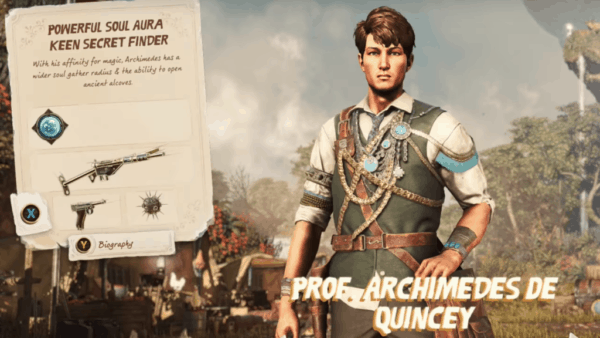 Strange Brigade starts off in the 1930’s as a team of explorers sets out for the unknown. A group of four people seeks adventure to the historic and jungle-filled lands. Looking for treasure, glory, and making history. At the outset, players have the option to choose one of the four initial explorers. Each of them has their own unique abilities and weapons. I went with the academic scholar Archimedes De Quincey. Like all academic scholars, De Quincey sets out on his adventures to gain knowledge. While also protecting the world from ancient horrors and evil. Perhaps the best part is that you and up to four friends can team up to search for treasure and put down this evil together. So, Archimedes doesn’t have to put down zombies alone. Especially because zombies are around every corner in the world of Strange Brigade. Monsters from the ancient past lurk within the shadows. And huge insects lie in wait for their next prey in corridors and hidden areas. Players can go to different locations depending on the modes chosen. Although, the main campaign mode is the best way to get acquainted with everything Strange Brigade has to offer. The main campaign also introduces the world’s puzzles and helps prepare the player for when they transition to multiplayer modes. One of the unique aspects of Strange Brigade is its puzzles. Apart from killing enemies and bosses, players have to solve various styles of puzzles on their journey. Some of these puzzles exist for extra treasure and supplies. While others are there to unlock the area for multiplayer. At first, the puzzles do feel overly simplified. However, they do get more challenging. Especially when coming across secret rooms. These room’s patterned walls are harder to decipher, whereas most are common game puzzles that players can easily solve. Puzzles in the game also help players set up traps for those that enjoy more of a lone wolf playstyle. This makes it easier for you to take down multiple enemies at once. While also saving up supplies and being sneaky as well. Another thing that helps mosey along the expedition is each character’s special abilities. Each adventurer has their own offensive abilities. For example, De Quincey has his amulet ability that allows a horde of scarabs to attack enemies. This ability is powerful in that it serves as a great way to lower the number of adversaries in a particular area. However, his offensive abilities are just the half of his power. 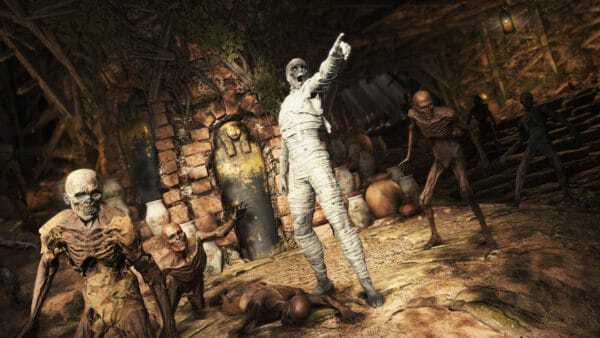 He can also use dead souls to help complete tasks and objectives by powering up the other adventurer’s powers. By harvesting more souls, he’s also able to see the treasure that most members of the party cannot see as well. This is just merely my experience with one player. Thus, giving you more replayability to go through and explore the other characters unique attributes and what they bring to the brigade. In turn, this helps keeps things fresh for subsequent playthroughs too. There is also a wide range of weapons that are not specific to any character. Giving you a plethora of loadout options. All rife with a 1930’s tinge that makes sniper rifles and flamethrowers stand out just as much as Winchesters. Bringing out the fun in historical accuracy. While also making the game more enjoyable for any type of shooting game fan. As previously mentioned, there are a few multiplayer modes included as well. Score Attack: is a challenging approach to the game. Requiring knowledge on how to handle a huge amount of enemies while also meeting regular objectives. Forcing players to adapt to their environment while achieving their kills at the same time. Of course, there is also a time element involved here, so you need to bust those zombies up quickly. 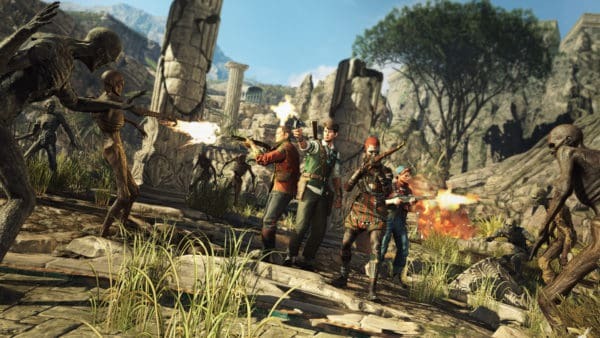 Horde Mode: An endless amount of enemies attack the Strange Brigade. Coordination and strategy is the key to survival in this mode. However, unlike common horde modes, this one focuses on the consequences of a player’s actions. Players have the choice to immediately spend the majority of the rewards right after the wave has finished, or they can choose to save them for later. Thus, allowing for rarer weapons and more useful items to help out when the fight gets even more chaotic. The 1930’s aesthetic gives the game a unique look. 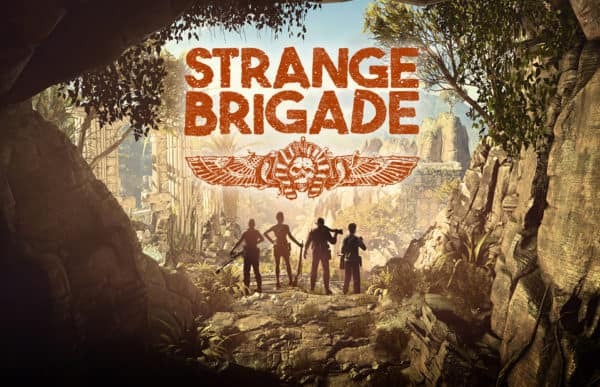 Overall Score: 8.0 out of 10 Strange Brigade is definitely a strong addition to the multiplayer survival genre. It stands on its own with its cast of quirky characters that add their own special touch to the game’s story. The weapons in the game really emphasize the 1930’s setting. While the use of puzzles gives players something to do besides just blast baddies. Although they aren’t that difficult to figure out, they still feel essential feel confused or struggle with them, but instead embrace the game and its mechanics. For those that are fans of this genre, Strange Brigade is certainly worth a try. But considering this has just launched, there’s probably even more modes and other things coming down the line if you want a wait a little bit as well.